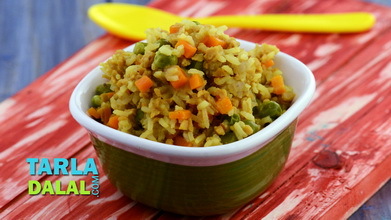 For those who love the complex interplay of spices in pickles, this Pulao will be a dream come true. 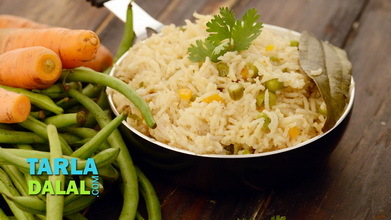 Rice, fortified with kabuli chana, is perked up with an interesting assortment of spices ranging from nigella and fenugreek to fennel seeds and black cardamoms, along with some readymade spice powders too. 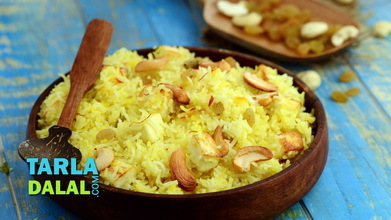 But, the real twist in this recipe is the addition of a couple of spoons of aam ka achaar, which gives a really sprightly flavour and aroma to the pulao. 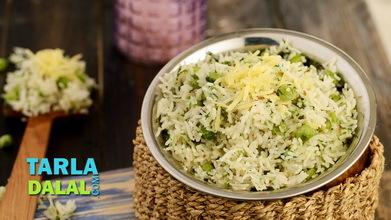 Being quite flavourful by itself, this Achaari Chana Pulao can be served simply with a cup of curds, or perhaps a bowl of dal. Blend the mango pickle in a mixer to a coarse paste. Keep aside. 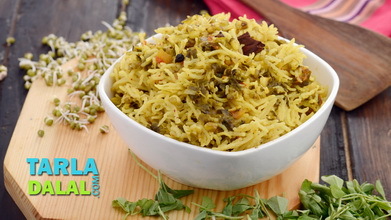 Heat the ghee in a pressure cooker, add the fennel seeds, mustard seeds, fenugreek seeds, nigella seeds, big cardamom, cumin seeds and asafoetida and sauté on a medium flame for a few seconds. When the seeds crackle, add the onions and sauté on a medium flame for 1 to 2 minutes. 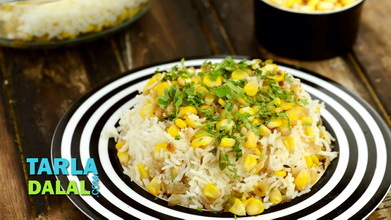 Add the ginger-garlic paste, kabuli chana, turmeric powder, chilli powder, garam masala, salt and the prepared pickle paste, mix well and cook on a medium flame for 1 minute. 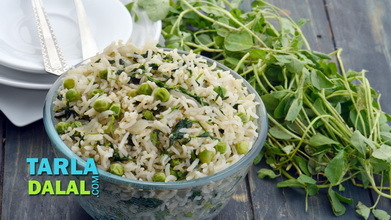 Add the rice, mix well and cook on a medium flame for 1 minute. 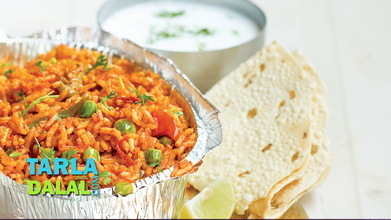 Add the 2½ cups hot water, mix well and pressure cook for 2 whistles.